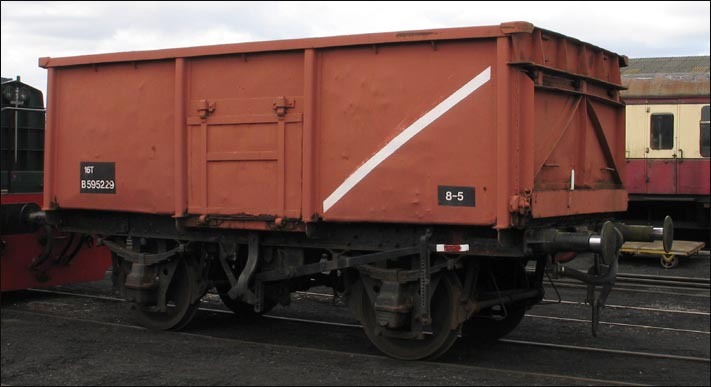 The BR 16 Ton steel mineral wagon has a 9ft wheelbase. Between the years 1950 and 1958 about 220,000 of these mineral wagons were built in the BR works and by private builders. The wagons in the list below are just some of the wagons that have been saved at the Nene Valley Railway.